4) The scholar always refers back to Imam Abu Hanifa for example, as the one people turn to, however, didnt his as well as other methodologies and schools of thought encompass not one, but hundreds if not thousands of scholars from inception, refining the rulings? So to emphasise the turning to the Imam, specifically, isnt correct because it overlooks the contributions that hundreds and thousands of scholars made right? However he is considered to be pivotal Imam in the Maliki madhab. So how can a Mujtahid be refining and following a madhab. Likewise Imam Dhahabi mentions about Imam Abu Bakr Ibn al-Arabi that he was also a Mujtahid (Tadhkiratul Huffadh 4/1296 and Siyar al-A’lam an-Nabula 20/201). The same was said concerning Allamah Ibn Qudamah, that he was a Hanbali but Imam Dhahabi said he was a Mujtahid and he cites from Ibn Ghuniyyah that he said no one in our times other than him reached the level of a Mujtahid. This also follows on that attributing certain Imams and scholars to be from the Muqallideen of a madhab, is absolutely and entirely incorrect. From them is Imam Shatibi, there are those who have attempted to restrict him to a madhab, however this is nothing but an imaginative stretch of their wishful thinking. Imam Shatibi for example obliterated and annihilated the arguments and concept of Taqlid in the second volume of his monumental and ground breaking book al-Ei’tisam and cited at least 10 harms and dangers of Taqlid. We have the likes of Imams Zuhri, Sha’bi, A’ta, Tawus, Hasan al-Basri, Ibn Seereen, Makhool, Awzai, Ibrahim an-Nakhi, Hamad, Sufyan Thawri, Ibn Abi Layla, Rabi’a, Laith Ibn Sa’d, Ibn Mubarak, Ishaq ibn Rahawaihah amongst others who were all scholars and Imams in their own right. We also know there were other madhabs which were less widespread. This also emphasises the point that some madhabs were forced via various means as we have cited in part 1,2 and 3. So when this was the case it makes sense that other madhabs and the opinions of other mujtahids would diminish. However we know that there were some scholars who were more knowledgable and more faqihs than the four Imams but their schools diminished. Also dear readers bear in mind that Imam Ibn Taymiyyah died in 728H and he is saying that you will find people upon other madhabs, so this shows the people were not confined to these madhabs even in the 8th century of Islam. There are a numerous reasons as to why some of these madhabs diminished and became extinct and looking at them would lengthen the discussion, if Allah wills we can pen this at a different time InshaAllaah. So the confusion upon delusion here is the claim that the scholars refined the madhabs. However we find the same eminent hanafi scholars saying the scholars were mujtahids and then they say a mujtahid is not a muqallid but rather he has his ijtihad and it is therefore haram for him to be a muqallid but at the same time, the latter day muqallids are saying they refined a madhab!!! How contradictory and confuising is this. It is also known that Junaid Baghdadi would pass verdicts based on the madhab of Imam Abu Thawr (Tarikh Baghdad 7/242). Now here some will argue and they have been arguing for centuries that some scholars and Imams are Mujtahid Mustaqil ie derive their own principles. However the question that arises here who is a Mujtahid mutlaq, ie the one who derives based on the rules and principles of another imam and likewise who is a Mujtahid Mustaqil. Also what shows that the scholars and Imams were capable of making ijtihad and were not upon the madhabs as we see, was the harm of society and the ill effect it would have on them and likewise they were not refining the madhab as we know it. The people would go to these scholars hoping they would give them Fatawa based on the madhabs and if the scholars attempted to make their ijtihad the people would not take it from them. Also during history and the various times the administration was also at times unfavourable and forceful and hence the scholars would just continue with what they knew. The student of Shaikh Balqaini asked him what prohibits Shaikh Taqi ud deen as-Subki from doing ijtihad (and here it means of the Mustaqil or mutlaq type) whereas he has the capability and knowledge. The student also thought that Shaikh Balqaini was also of the same level and so whatever answers he gives I will also assume that to be his own reasons also. 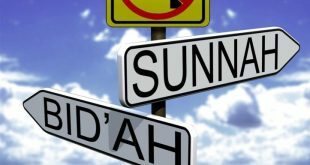 Sometimes these scholars would learn, follow or sympathise with madhab and then later they would adopt the Quran and Sunnah and abandon the madhab, but yet their name would still be included as one of the refiners of the madhab or its follower. 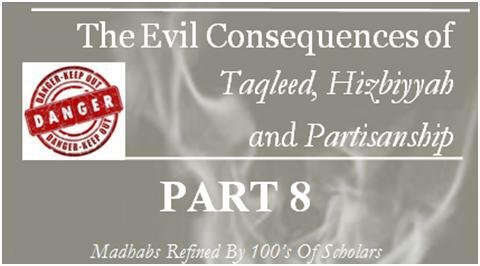 Another instance this occurs or when people think there were so many scholars refining a madhab when in reality there were very little and the main reason for people thinking they were followers of a madhab or they helped refine them, was because most often their ijtihad and their Fatawa coincided and were synonymous with the Fatawa of a particular madhab. The well known scholar and researching scholar of the Ahnaf, Shaikh Abdul Hayy Lucknowi said, “That Abu Bakr al-Qaffal, Abu Ali and Qadhi Hussain were said to be from the Shafis but they themselves said we are not the muqallids of Imam Shafi but rather our opinions (ie ijtihad) concur and coincide with Imam Shafis.” (an-Naf’e al-Kabir pg.100). Adding to this further Imam Nawawi cited from Imam Abu Ishaq Shairazi who said, “Most of the (so called) Shafis ijtihad agreed with Imam Shafis ijtihad and not because they did Taqlid of him (this is why they were labelled as Shafis).” Then he cites the statement of Shaikh Abu Ali as-Sinji who said, “We follow Shafis and not others because we found his statement to be the most correct and the one that had most precedence and not because we did Taqlid of him.” (Refer to al-Majmoo’a Sharh al-Muhazzab 1/73). So there we have it, half the times these so called refiners agreed with the verdict of the imam based on the evidences and not because they were Muqallids. 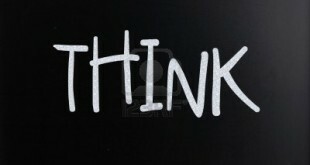 This therefore nullifies this notion that all if not half of the scholars refined and correct the rulings. It is known that the likes of Imams, Muzani, Ibn Khuzaimah, Abu Thawr, Muhammad Nasr al-Marwazi, Abu Ubaid Qasim bin Salam and Imam Ibn Jarir at-Tabari were from amongst the mujtahideen and major scholars in their own right but look they were included in Tabaqaat ash-Shafiyyah as if they were Shaafites, just because most of their rulings and ijtihad agreed with imam Shafis. Shaikh Suyuti mentions the same situations with regards to Ibn Sabbagh, Ibn Abdus Salam, Ibn Daqiq, Subki and Balqaini and said the people knew they were mujtahids but were attributed to the Shafi madhab and likewise they would teach in Shafi institutes of learning. So because all of them were mujtahids they would not see any harm in being attributed to a particular madhab. (ar-Radd Ala Akhlad pg.167-168). The readers might at this instance say, well how about the Tabaqaat fro each madhab, like Tabaqaat Hanafiyyah, Tabaqat Malikiyyah, Tabaqat Shafiyyah and Tabaqat Hanabillah and the scholars have been cited in them and so how can you say the madhabs were just attributed to them. Well just because a scholar has been mentioned in one of these Tabaqats this is not aevidence they were Muqallids and hence refined the madhab. For example the hanafis do not speak favourably about Imam Nu’aym bin Hammad but you will see that he has been added to the Hanafi Tabaqat by Shaikh Qurashi. Also to our our amazement Imam Shafi has been included in Tabaqat Malikiyyah, Imam Ahmad bin Hanbal and Imam Ishaq Ibn Rahawaihah have been added to Tabaqat Shafiyyah and Imams Laith ibn Sad, Imam Sufyan ath-Thawri, Imam Ibn Uyainah have been added to Tabaqat Hanafiyyah. Both the Hanafis and Malikis have added Imam Abdullah Ibn Mubarak to their respective Tabaqats. What is astonishing and also at the same instance hilarious, is what Muhammad Zahid Hussain Kawthari said. He effectively and unwittingly affirms our point of argument in that he rebukes Subki and says he included people in hisTabaqat Shafiyyah who just even gave Salam to Imam Shafi or those who heard just one statement from him and indeed this approach is very bad. (Refer to his Ahqaq al-Haq pg.64). However this approach is not just restricted to Tabaqat Shafiyyah in fact this approach and method was employed by all of the madhabs in order to increase their numbers and give their madhab more credibility and fame. So all of this refining just in order to increase the numbers. indeed is not a numbers game or claim to fame. So when this is the situation with these Tabaqat and the scholars who belonged to these madhabs, can we now really say who really belonged to them and who actually did any refining or fine tuning. The question itself is contradictory because it is suggesting that you don’t follow the imam or the founding fathers but all the refining scholars, which is impractical. In fact out right impossible as there is no way possible on this earth that a Muqallids or follower of that madhab will have ability and knowledge to follow what the refining scholars said. In essence this is the main point, that when your following a madhab you don’t know whose ijtihad you are following.